Urinalysis is a process where urine is processed and tested in order to determine and diagnose urinary system related disorders and diseases. 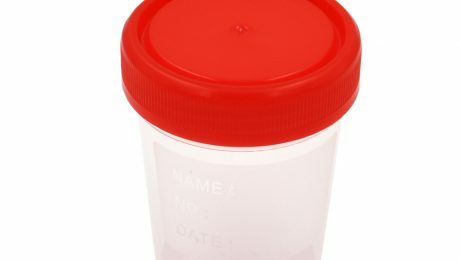 In order to accurately test urine, you have to place your urine sample in a specimen cup and then send it to a medical technologist for testing. So how do they test urine and what tests does it undergo? For normal people, they can just simply do the aforementioned way. For people who can’t stand up or cannot urinate properly, a nurse can collect it using a foley catheter that is inserted in a person’s bladder. This might sound painful, but lubricating jellies are used to, of course, lubricate the tube that is inserted in the urethra in order to avoid pain. The urine collected is placed on a urine bag and a portion of it will be taken to a laboratory for testing. There are many tests that urine will go through. Some of which are color testing, transparency testing, specific gravity testing, biochemical testing and microscopic examination. The color and the transparency tests are based on visual observation of the sample. Usually, urine should be transparent and straw yellow in nature. Other colors may be caused by medications, dietary sources, or diseases. Specific gravity is the measure of concentration of dissolved solutes in urine. The result from this test reflects how well the kidney is concentrating urine.Biochemical testing is done using reagent strips such as the biostix 4sg. The use of this strip can determine Ketones, Glucose, Protein and pH, Leukocytes, Nitrites, Ketones, Bilirubin, Blood, Urobilinogen, and Specific Gravity levels in urine. Microscopic examination refers to the test that determines whether microscopic organisms are the cause of the diseases and disorders of the urinary system. A well-known disease linked to microorganism infection is Urinary Tract Infection or U.T.I.Urinalysis is a part of the routine tests that determine the state of our well-being. Getting tested ensures that we are healthy and free from varieties of diseases and disorder linked to the urinary system such as kidney problems, U.T.I. and many more. If you have constant abdominal or back pain, experience excruciating pain when you urinate, observe the presence blood in your urine, or other urinary problems, a doctor would most probably advice you to undergo urinalysis. Being healthy is all that we want. We all want to live a long life. And in order for us to do that, we also need to do our part. We need eat healthy, protect our body from diseases by taking vitamins, and of course keep our body fit by exercising. Another way to do that is simply by having medical checkups and undergoing routine tests. If you want to buy specimen cups and other aids in urination, you can visit us at our site Philippine Medical Supplies. If you grew up in a typical family, the moment when you come home while weeping because you fell down and acquired a wound, your mom would hurriedly pour alcohol all over your wound. I know that you had flashbacks of the agonizing and excruciating memory of that event. Having wounds and scratches is something that we cannot avoid. Sometimes, there are even wounds that have an unknown cause. But just like what the title said, you should never, ever pour alcohol on your wound. Our body is made up of living cells that of course, die after being damaged or because of old age. When we have cuts, abrasions, or wounds, the cells on that part of the body gets destroyed. 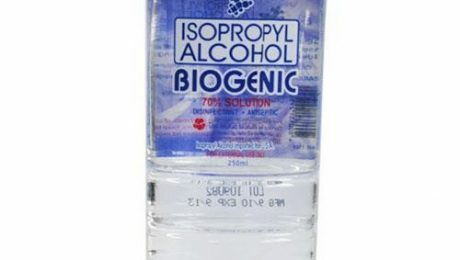 Pouring alcohol on a wound is only acceptable when there are no available saline or iodine solutions that can be used as disinfectant when a medical practitioner is not around. Also, pouring it on an open and freely bleeding wound is not quite advisable. First, which is quite obvious and traumatic, is excruciating pain. Alcohol triggers VR1 receptors, which cause our body to send the same neurochemical signals that responds when we get burned. When we finally experience that pain, it’s impossible for us to not scream or not to writhe in pain. Though it may be true that alcohol is a good disinfectant, the use of alcohol as a disinfectant can cause tissue damage. Itching on that area may also persist which can also cause a misdiagnosis of inflammatory damage. It can also interfere with the eventual healing of your wound. If you have a wound, it is advised that you clean it with sterile water. You can also use Hydrogen Peroxide or Povidone Iodine 10% as a substitute since both of these can cause lesser tissue damage. You can apply them using a cotton ball or a cotton roll. You just have to pour a generous amount of any of the two on a piece of cotton and gently dab it on the wound. Do not pour it directly on top of it. PNSS or Plain Normal Saline Solution can also be used as an alternative for disinfection. Some doctors would even use irrigating solutions to sterilize and disinfect wounds. Being wounded is something that is inevitable. The only thing that we can do is for us to treat our wounds properly in order for us to avoid getting hideous scars that will last a lifetime. Pouring alcohol is something that is discouraged, but in dire situations, some damaged tissues is far better than losing actual life because of infections. 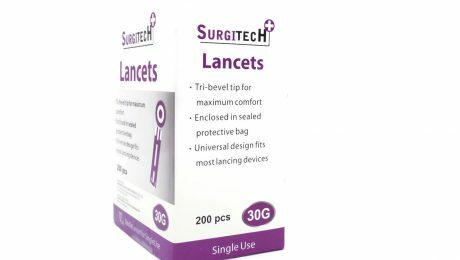 If you want to buy quality wound care products, you can visit us at our site Philippine Medical Supplies. Diabetes mellitus or just diabetes is form of disease that can either be caused by the inadequacy of insulin in the body, or the body does not respond quite well to it. According to a recent statistic, around 382 Million people all over the world are reported to have it. One way to diagnose it is of course, by pricking your finger with a sterilized blood lancet and taking a blood drop then getting it analyzed. First is type 1. A person is considered as type 1 when his body doesn’t produce insulin at all. Based on a study, roughly 10% of the total population of people positive with diabetes has this. Second is type 2. Type 2 diabetes happens when a person’s body doesn’t produce enough insulin. Basically, this is the milder version of diabetes. The third type is gestational and only happens in pregnant women. Why is there a need for us to get tested if we have diabetes? Well, if diabetes is left untreated, complications such as erectile dysfunction, vision loss, limb amputation, reduced or no wound healing factor. Another is nephropathy where you would uncontrolled blood pressure spikes. Imagine all the ice bags that you are gonna use! If you do not want to experience any of this, then you should really get tested and treated. If you want to get tested at home, there are devices like the Freestyle Glucometer, GCU Easytouch, and One Touch Ultra that can be used for your convenience! Just sterilize your finger first using alcohol, put a drop of blood on it, and it will just analyze the glucose level in your body! On average, a non-diabetic person blood glucose level should be between 3.9 and 5.5 mmol/L. The typical mean average of normal blood glucose of humans however is 5.5 mmol/L which fluctuate throughout the day. Like any other diseases, diabetes is something that we should not take lightly. If we will look at the charts, diabetes is the 7th leading cause of death worldwide. Everyday, an estimated number of 76,000 people die because of it. If diagnosed early, diabetes would not be a threat to us. How can we avoid having diabetes? Well, the most obvious move is of course, to eat healthy! Also, you should control your weight since most people with diabetes are obese people. Avoid eating and drinking too much sweet food and drinks like candies, chocolates, softdrinks and many more.This might sound fake but moderate intake of alcohol also helps reduce the chances of a person developing diabetes and heart problems. Have you ever experienced fainting in an overly crowded place like a concert, but luckily there are medical personnel around to assist you? Have you ever watched football where there’s an injured player being carried out of the venue on a stretcher? Scenarios like these are quite common especially in the sports world or in a very hot crowded place. But who do we call for help when tragedies like this happen? Doctors. Intelligent, well-trained doctors. The room is crowded, a family member is crying, people are running back and forth, one doctor is trying to resuscitate his patient with an ambu bag while a nurse is attaching an IV Catheter neoflon for the IV line, another doctor is reviving his patient’s non-functioning heart with a defibrillator, and nurses are putting ice bags on hypertensive patients while measuring their blood pressure using a digital BP rossmax… this is one of the most typical scene that you can see in an emergency room. Ever wonder why doctors charge so much? The hospital is probably one of the busiest places on earth. Here we see the wonders and expertise of medical professionals as they try their best to bring their patient’s back to perfect health and shape. What they do is something that requires years of practice and studying. On average, after graduating high school, in order for a student to become a licensed doctor, he must spend a decade and a half in medical school, especially if he has a field of expertise. Aside from the time spent studying and practicing, in order to become a doctor, you will have to spend hundreds of thousands up to millions of pesos just to graduate medical school! You also have to include the efforts, the sleepless nights, and the physical, mental, and psychological torture that a doctor has endured over the course of his school years. The machines and materials that medical practitioners use are also quite expensive. Remember that hospital scene where a person is lying completely still as he enters a machine? That’s right. A CT scan. On average, a CT Scan machine costs around Php 7,000,000! Doctors also charge so much because they have responsibilities in their homes. Siblings to help, family to build, children to raise, and bills to pay. Those are just some of their struggles. We also cannot ignore the fact that they also have wants, needs and dreams that they want to fulfill and goals that they have to reach. To sum it up, the medical world is something that requires a lot. So we don’t really have to be shocked when doctors charge so much, except in some cases of course. If you’re curious on some of the tools used by medical practitioners, you can visit Philippine Medical Supplies for more details. The ability to see is probably the greatest sense that has been given to man, well, aside from common sense. Kidding aside, there is this myth stating that as we age, our visual prowess significantly drops. According to a study conducted by Silva de Avo et. Al., there is no significant difference between the perception of old people and young people. Despite the result, among the people who participated in the study, there were unfortunate individuals who have terrible eyesight. Though, through modern technologies, damaged eyesight can finally be restored and patched! Is patching your eyes using a suture vicryl sounds good to you? For eye doctors or ophthalmologists, people with problems in vision can be helped through various eye surgeries. Some subspecialties of optometric surgeries are cataract surgery, vitreo-retinal surgery, anterior segment surgery, and many more. Before the start of any surgery, an anesthesiologist must first administer anesthesia, may it be local, general, or topical. In eye surgeries, the typically used kinds of anesthesia are the general and local anesthesia. This is done in order for the patient not to experience any pain during the process or to prevent any undesired movement (in the case of general anesthesia). This is administered through an IV Line which includes an IV Catheter Introcan, a soluset, and many more. Most of the time, an oxygen cannula is inserted into a patient’s nose in order to aid him in breathing due to the fact that he’s unconscious during the whole process. An irrigating solution must also be present in an eye surgery, especially in cataract surgeries to ensure that the natural condition of the eye is maintained. After the entire process, surgical cuts or incisions in the eyes are closed using a suture vicryl, a specialized suture for the eyes. To avoid being exposed to foreign contaminants and infection, the eye that went through surgery is covered with an eye pad which will be changed from time to time. If the eye is fully healed, the pad is removed and the eye is tested for its ability to see. Keeping the eye healthy is something that we should fully focus on. Our ability to see is something that should not be taken away from us. So what should we do to keep our eyes healthy? Eat plenty of food rich in Vitamin A, C, E, and Lutein such as green leafy vegetables, pork, salmon, etc. Do not read under a dim light or in a moving car. Wear sunglasses to protect your eyes from ultraviolet rays (UV Rays). If you are a sports person, especially if you’re a player of hockey, la crosse, and the likes, it would be best that you would wear eye protection to prevent eye injuries from occurring. Do not stare at your computer or cellphone screen for a long time. Finally, have a regular eye checkup with your eye doctor. If you still want to see the beauties of the world, take care of your eyes! Eye surgery is such a tedious process. Want to know more about other eye surgery tools? 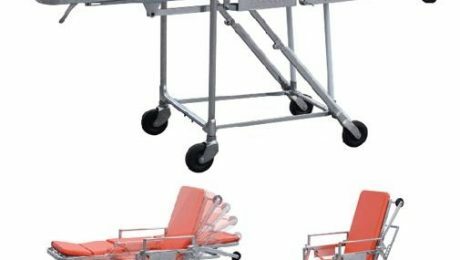 Visit us at our site Philippine Medical Supplies.